Free Shipping Included! 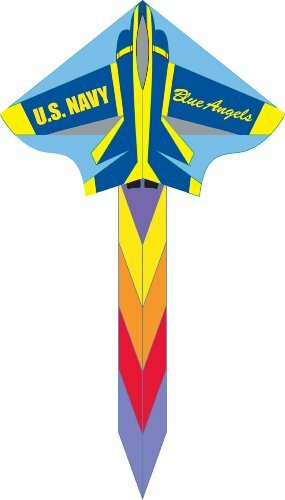 HQ 48-Inch Simple Flyer Kite (Blue Angel) by HQ Kites and Designs at Scruffs Game. MPN: 1343709. Hurry! Limited time offer. Offer valid only while supplies last. The kite of choice for many first time flyers. This Delta kite is easy to fly and has the ability to stay aloft in a broad range of wind conditions. The kite of choice for many first time flyers. This Delta kite is easy to fly and has the ability to stay aloft in a broad range of wind conditions. This kite flies best with 30# Test Line. Line is not included. Product size 47" x 83".